How to conduct a faculty program in mechatronics? While the importance of conducting faculty development programs to help faculties learn advanced technologies prevail among the colleges, many are not sure how to go ahead about it. Even though the practice of organizing faculty development programs is in the existence from a long time, but they were limited to only universities and highly recognized colleges previously. So faculties who are interested in attending them had to put an additional effort to go to these colleges for learning the latest technologies. Now, the scenario is completely different where conducting a faculty development program is feasible even for the colleges in tier 2 & 3 categories. But doing this is not easy, as many don’t have the knowledge or unaware of the process of conducting a faculty development program. Especially if you want to conduct a faculty development program in mechatronics, as it is an upcoming technology and sufficient resources are not available that easily. So proper care should be taken while conducting a faculty development program in mechatronics as the scope of it extends beyond the training session and will have a great impact on the student’s community. So, here I am listing the steps that will guide you to organize a successful faculty development program in mechatronics in your college. An initial meeting with all the head faculties of various departments should be arranged to discuss and understand the scope of organizing such faculty development program in your college. This will provide a very good stage for everyone to put their thoughts and a decision can be taken by a unified effort. Next comes the most vital step in organizing a faculty development program, where doing this right will ensure the success of faculty development program. You need to research online about the companies that organize such training programs in colleges. As there are a lot of companies, be very careful in selecting them. Browse through the company’s profile to know about their past activities, experience in conducting such programs, faculties expertise, industrial collaboration and the R&D of projects. You can also go through their Google reviews and social media presence to understand more about them. After you have done your research, select 2 or 3 companies that you found best. Try to contact them and get some expert assistance on conducting the faculty development program in your college. Since they have a lot of experience organizing such programs, they will identify your requirement correctly and come up with great suggestions. Know more about the topics in which the companies offer faculty development programs in mechatronics engineering. Remember, the topic that you choose should help your faculties to learn and get skilled in latest technologies. Since a lot of faculties will be assisting students in doing engineering projects, you can select the topic that will help your faculties to provide a good mentorship. Since the faculties will have a packed schedule from lectures to exam preparations, the dates selected for the faculty development program should have the least disturbance to the academic curriculum. Then you can confirm the dates with the organization and have an official partnership signed to invite the industrial expert. Once you have finalized the topic and dates of the faculty development program, send out invitations to all the departments and encourage more number of faculties to participate in it. You can also send out invitations to nearby colleges. Doing this will help you to increase your college’s reputation among them. For the faculty development program to happen in a good manner, proper arrangements should be made. It might vary from blocking the seminar hall for the scheduled dates to the arrangement of lodging for the industrial expert. So form a team with dynamic individuals whom you can rely on and give tasks with deadlines. What are the training programs available in mechatronics? As this is an upcoming field, not proper materials or sources available to learn the concepts. So the faculty development program should be provided on a topic that will help your faculties to learn and develop hands-on skills on mechatronics technology from core. By doing such faculty training programs, they will not only learn the concepts behind the mechatronics technology but also use the learnings to mentor your students later to develop great projects. 1. Animatronics Hand: Animatronics is an example of Mechatronics, an upcoming technology that is being widely implemented in industries to carryout operations that requires human-machine interaction. This particular technology is being widely used in the film industries, automation industries etc. Through this training program your faculties will learn to design their own Animatronics Hand using Arduino Uno, Servo Motors etc that can mimic the actions of the user. 2. 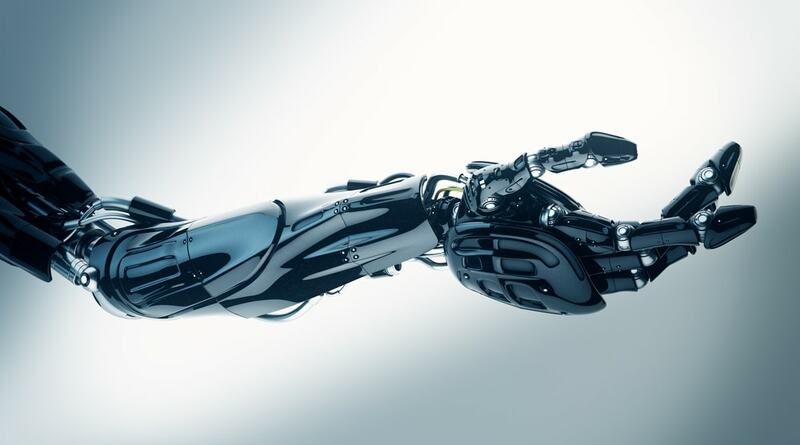 Robotic Arm: Robotic Arm can operate autonomously to handle the industrial process that needs more physical effort/ contagious in nature – example in assembly of cars. It uses Arduino Uno to facilitate the integration of ADXL sensor and the servo motors. 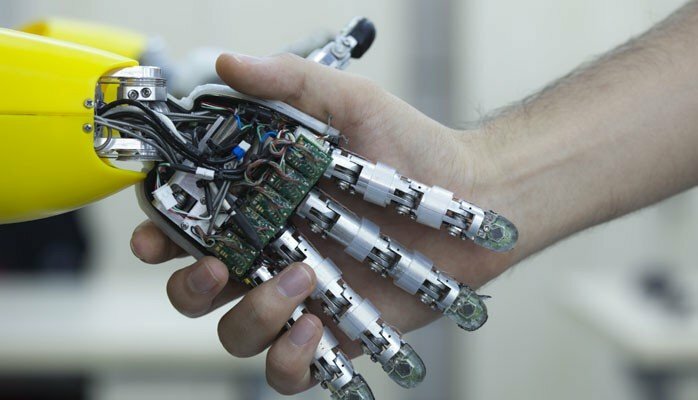 Through this training program your faculties will learn to develop a fully functional robotics arm that can be controlled using hand gestures. 3. Automatic Solar Tracker: When compared to a fixed solar panel, solar tracking system produces 40% more energy. Through this training program your faculties will practically learn to build an electronic device that can track the light intensity and orient the solar panel accordingly to get the maximum energy from the sun. They will work with an Arduino Board and program it to facilitate this action. Recommended to: As mechatronics is a multi-disciplinary field, faculties from varied departments who are interested can participate in this training program. Also the engineering faculties who assist final year students in developing projects should undergo this training so that they can provide better guidance for them in building projects on latest technologies. Why Skyfi Labs for faculty development programs in Mechatronics? Skyfi Labs is an edu-tech company started by IIT Kanpur alumnus people with a vision to infuse latest technologies on Indian engineering system and make it easy for anyone to learn latest technologies by developing projects hands-on. With the courses developed with the highest quality through continuous R&D and interaction with industrial experts, the faculty development program offered in mechatronics will prove to be one of its kind and will definitely help your faculty members to bring in a change themselves and also with their interaction with the students community. All the best. Hope you will all have a great mechatronics engineering faculty development program in your college soon!